VANCOUVER, BC – St. John’s Vancouver Anglican Church, the largest Anglican congregation in Canada, will move from its present historic location on Granville Street and Nanton Avenue, as a result of an on-going world-wide upheaval in the Anglican Communion, the 80 million member Christian Protestant denomination formed 500 years ago under King Henry VIII of England. In what may be the greatest rupture in Christianity since the Reformation, disagreement over basic Christian beliefs has separated Anglican congregations around the world into two camps, usually labeled orthodox and liberal, with those holding to historic, Bible-based values and beliefs in the vast majority. The St. John’s Vancouver Anglican congregation has aligned itself with the mainstream global Anglican Church, rather than continue as part of the local, more liberal Diocese of New Westminster. The decision by this congregation and sister parishes resulted in frozen bank accounts and a court action to determine which party was conducting the ministry for which the buildings were intended. 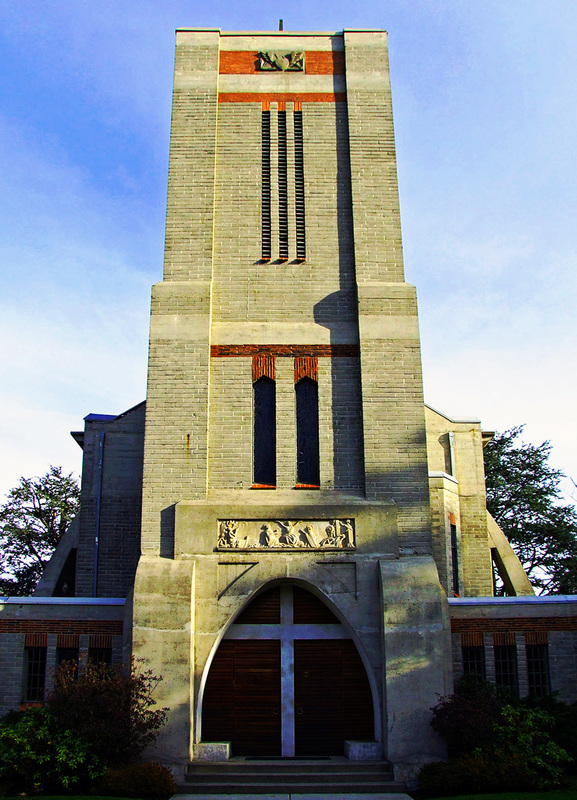 A Supreme Court of Canada decision in June, 2011 confirmed that the Diocese of New Westminster, part of the Anglican Church of Canada, provides the sort of ministry for which the landmark Granville Street (St. John’s Shaughnessy) buildings were intended, forcing the large congregation to seek a new facility. The underlying, central issues of belief are: the authority of God’s Word in the Bible, the uniqueness of Jesus Christ, and the need to be saved by Him. St. John’s, along with the majority of Anglicans worldwide, joyfully upholds the historic biblical faith, expressed in the founding Anglican affirmations. St. John’s Vancouver, which has been meeting at its current location for almost 100 years, will continue to be led by its present clergy, Canon David Short, Rector, Venerable Daniel Gifford, Associate Minister, and Rev. Aaron Roberts, assisted by Canon Dr. J.I. Packer, Honourary Assistant Minister and a world-renowned published theologian, a staff of 15, and by the Trustees of St. John’s Vancouver Anglican Church. The new location secured by St. John’s Vancouver is at West 37th Avenue and Baillie Street and belongs to Oakridge Adventist Church, which has graciously offered to share its building. St. John’s Sunday services will start in Oakridge on September 25, 2011 and all other mid-week activities are planned to continue as normal in the new location. All those who visited St. John’s Granville Street location in the past, new neighbours in the Oakridge location, and all visitors and residents in Vancouver are welcome at the services, prayer times and church events. Special events are planned during the transition period and special welcoming services will be held. Some background on the story can be found here in our archives. St. John’s Vancouver Anglican Church is a community of Christians dedicated to loving God by spreading the name of Jesus Christ. The Church continues in the Anglican way, by preaching, believing and seeking to obey God’s Word in all aspects of life. Church services are held on Sundays at 8 a.m., 10 a.m. and 6:30 p.m. Evensong is on Tuesdays at 5:30 pm, a range of programs for adults and youth take place during the week, and many small home group Bible studies meet weekly throughout the Vancouver Lower Mainland. St. John’s supports over 20 local and international missions and help organizations. St. John’s is a member of the Anglican Network in Canada (ANiC) and the Anglican Church in North America (ACNA).